Nicholas John Robinson was born on the 22nd March 1995, in Seattle, Washington State USA, and is an actor, who is probably best recognized for starring in the role of Ryder Scanlon in the TV series “Melissa & Joey” (2010-2015), playing Joe in the film “The Kings Of Summer” (2013), and as Zach in the film “Jurassic World” (2015). He is also a voice actor, who has provided his voice to several video games. His career has been active since 2006. So, have you ever wondered how rich Nick Robinson is? It has been estimated by authoritative sources that the total size of Nick’s net worth is over $3 million, as of late 2016. This amount of money has been accumulated through his successful involvement in the entertainment industry. He is a young actor, who has already made several successful appearances, and undoubtedly his career will become greater, and also his net worth in the coming years. 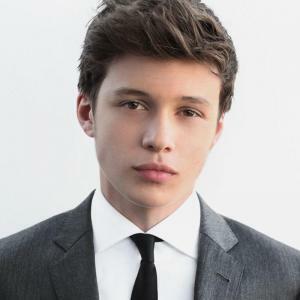 Nick Robinson was raised with four younger siblings by his father, Michael Robinson, and his mother, Denise Podnar; he also has two half-siblings from his father’s former marriage. When he was younger, Nick’s parents put him into the Broadway Bound theatre program, where he discovered himself as an actor. He firstly went to Seattle Prep school for a year, after which he moved to Los Angeles, California, where he attended Campbell Hall School from which he matriculated in 2013. Afterwards, he enrolled at New York University (NYU), but he defered his education in order to pursue his acting career. Thus, Nick’s professional acting career began in 2006, when he was cast in the production of Charles Dickens’ “A Christmas Carol”. Two years later he met Matt Casella, a Hollywood talent scout, after which he signed a contract with The Savage Agency in Los Angeles; however, he didn’t get any roles, so he returned with his family to Seattle, where he performed on stage in local playhouses. Nevertheless, in 2009 his career turned for the better, as he made an appearance in the short video “CC 2010” as CC’s father, which was followed by another role in the highly popular TV series “Melissa & Joey” (2010-2015), in which he portrayed Ryder Scanlon. All of these increased his net worth by a large margin. To speak further about his acting career, Nick starred in the role of Jake Logan in the 2012 TV film “Frenemies”, and later in the same year had a guest-starring role in the TV series “Boardwalk Empire”. The following year, he made an appearance in the film “The Kings of Summer”, directed by Jordan Vogt-Roberts. Furthermore, he also landed the role of Zach in the hit film “Jurassic World” (2015), with Bryce Dallas Howard, Ty Simpkins and Chris Pratt as the stars of the film, which added a considerable amount to his net worth. Most recently, Nick featured in “Being Charlie” (2015), “The 5th Wave” (2016), and is set to appear in two more films – “Krystal” and “Everything, Everything” – both of which will be released in 2017, and are currently in post-production. His net worth is certainly rising. Additionally, Nick is also known as a voice actor, who provided his voice to such video games as “Lego Jurassic World” (2015) and its sequel “Lego Dimensions” in the same year, increasing further his net worth. Thanks to his accomplishments in the film industry, Nick was nominated in 2013 for the Phoenix Film Critics Society Awards in the category Best Performance by a Youth in a Lead or Supporting Role – Male for his work on “The Kings Of Summer”, and later in 2015 for the Young Entertainer Awards in the category Best Leading Young Actor – K.C’s favorite actor– Feature Film for his work on “Jurassic World”. Regarding Nick’s personal life, there is no information about it in the media, but at 21 he has plenty of time yet for romantic associations. 1 Over the course of his time on Melissa & Joey (2010), Nick grew about a foot in height which is why on the show there are consistent jokes about his character Ryder being a giant. 2 His first feature film was Jurassic World (2015), and he said in an interview that he'd like to stick to festival films like his previous film The Kings of Summer (2013). 3 Nick was one of the main actors considered to play Augustus Waters in The Fault in Our Stars (2014), but the role eventually went to Ansel Elgort. 4 His first friend after moving out to Los Angeles was his Melissa & Joey (2010) co-star Taylor Spreitler. 5 It is said that Nick is a very private person - hence why he isn't on social media. It was in 2014 that he deleted Twitter, and early in 2015 that he deleted his Instagram. 6 Nick was accepted into New York University in 2013 shortly prior to his High School graduation from Campbell Hall - but deferred his first year to work on another season of Melissa & Joey (2010). 7 His favorite film of all time is The Big Lebowski (1998). 8 During his time on Melissa & Joey (2010) - he left numerous times to go work on films including Frenemies (2012), The Kings of Summer (2013), Jurassic World (2015) & The 5th Wave (2016). 9 While still living in Seattle, Nick's parents put him into a theater program called Hollywood Bound which is eventually what got him discovered as an actor. 10 He gets consistent comparisons to actor, James Franco who he has stated he would also like to work with someday. 11 Nick has 4 siblings - all which are younger than him, and 2 half-siblings - both of which are older than him. 12 Nick attended Seattle Prep for his freshman year before moving to Los Angeles to pursue his acting career. Where is NHS at 70 being filmed and who are presenters Anita Rani and Nick Robinson? What time is the NHS at 70 live event on BBC Two tonight, who are hosts Anita Rani and Nick Robinson and what questions does it ask?